This Newsletter aims to provide information regarding the latest successes, opportunities and changes in UAEM, as well as the most important news from the intersection of intellectual property and global health. Why is Access to Medicines a pressing European issue today? What roles should universities play in solving the global medical access and innovation crisis? This were the questions that had to be answered by the participants of UAEM Europe's very first YOUTH ESSAY COMPETITION ! 3rd Prize: “It’s the economy, stupid! – A challenge to academia in the debate of access to medicines” by Niek B. Achten (Utrecht University). This essay will shortly be published online by PLOS Speaking of Medicine. Entries were ranked by a jury of access to medicines experts and UAEM members. 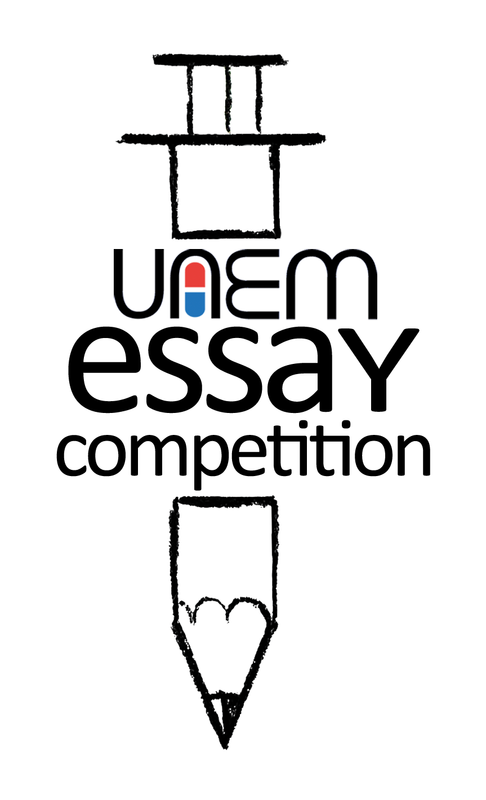 Winners will present their essays at UAEM’s European Conference in London in April 2015. We need your support! We just launched a crowdfunding campaign to have the best conference ever. Share with your friends, family, professors, neighbors... Who knows! Our conference has proven to be a meaningful project that channels the UAEM vibe and energy of hundreds of students across Europe. And this year, it will happen again... with your help. With every donation, you will get a very exclusive goodie to show off your UAEM pride and love! 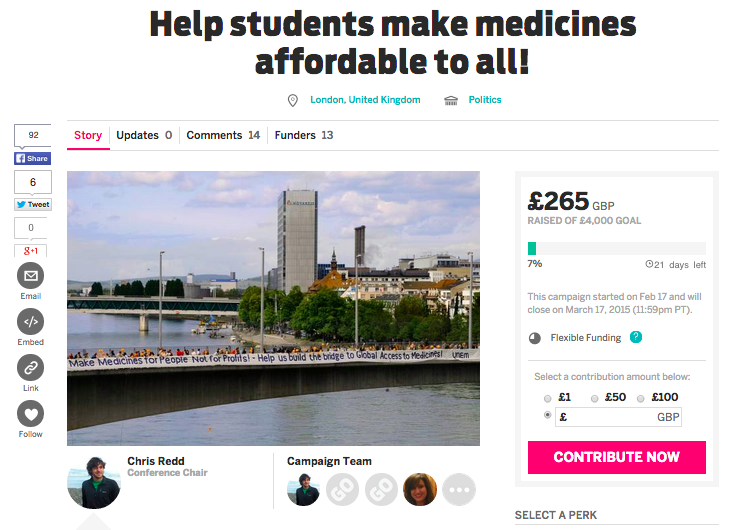 This is the perfect time to get that "We have a drug problem" t-shirt or to decorate your locker with UAEM stickers! Copyright © 2015 UAEM Europe, All rights reserved.